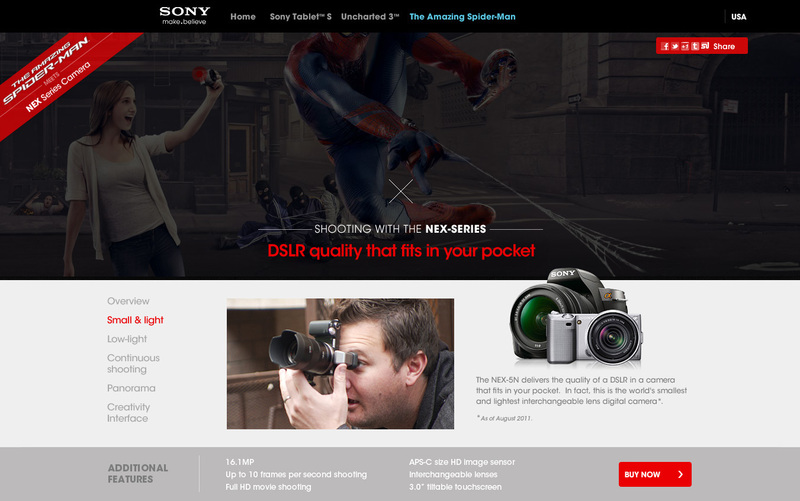 The Amazing Spider-Man was hitting theaters and Sony’s slick new camera, the NEX, was hitting shelves. The challenge was to combine these two Sony properties in a way that ignited fans’ imaginations. The Amazing Spider-Man reboot had fans scouring the Internet for content related to the film years before its release. We wanted to pair this excitement with the NEX Series camera by telling an action-packed story through an interactive panorama that lets fans “picture themselves” in the scene. We collaborated with Photographic Artist Dave Hill to shoot New York City as a background for the adventure. Dave specializes in “moment in time” action sequences, perfect for an epic superhero scene. Studio shots of Spider-Man were composited alongside actors and props shot in Dave’s studio. Dave captured the entire image with Sony’s NEX camera, reinforcing its product features and versatility. 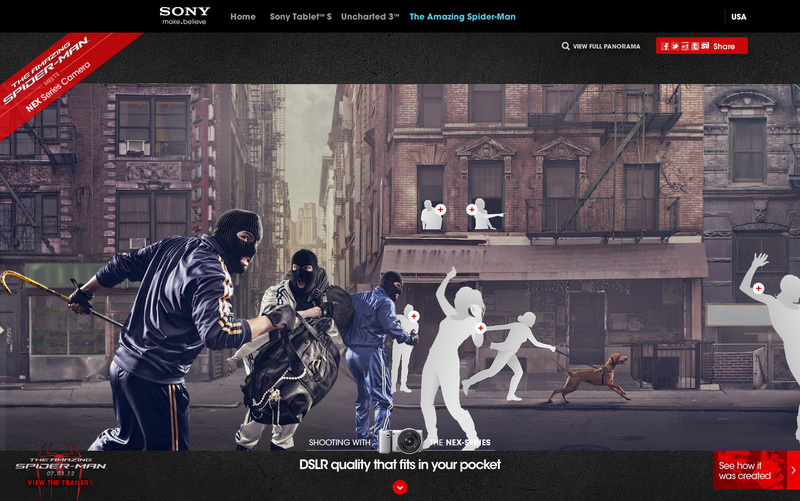 Once the submissions were complete, selected users were composited into the final shot, creating a thrilling scene to be used in Amazing Spider-Man promotions. Those selected for the final mural were sent printed versions of the poster and some even received their own NEX Series camera. 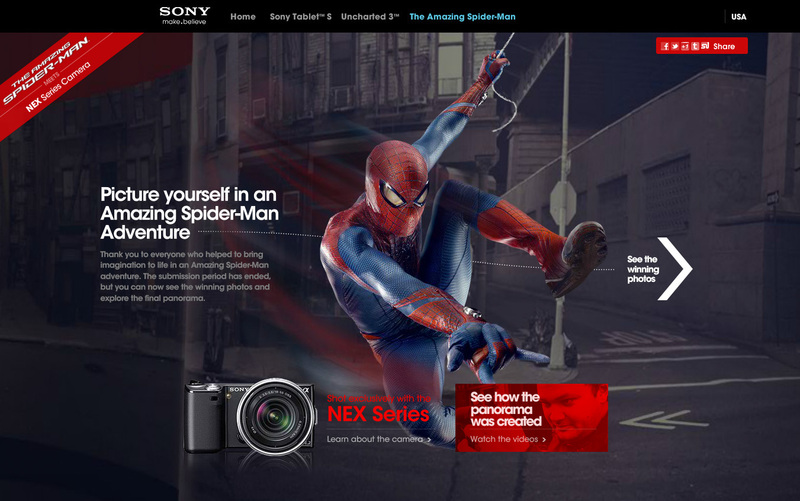 In the end, a powerful new camera put consumers in a scene with their favorite superhero, igniting their imaginations and giving them a reason to believe in the power of Sony.